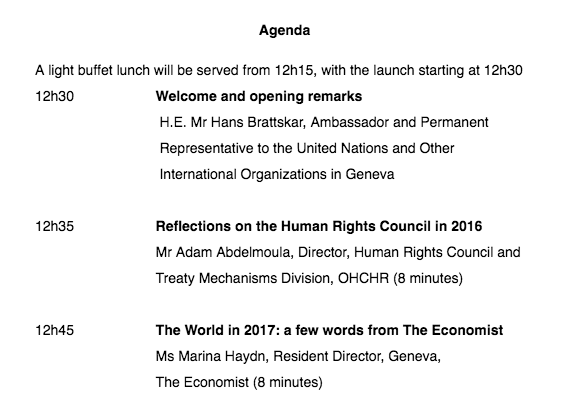 On Monday 12th November, the Permanent Mission of Norway and the Universal Rights Group (URG) hosted a reception to look back on the work and achievements of, and challenges faced by, the Human Rights Council and its members in 2016, and to mark the launch of the second yourHRC.org end-of-year report: ‘The Human Rights Council in 2016.‘ The event also looked ahead at what to expect in 2017, with a presentation by the Economist of its ‘The World in 2017’ publication. Free copies of both publications was distributed at the event. The quantitative evolution of the Council’s work in 2016, as well as since the body’s establishment in 2006. This includes the number of resolutions adopted; the number of voted resolutions; the number of ‘hostile amendments;’ levels of cooperation with the Council’s mechanism; the substantive focus of the Council’s work and output – by agenda item and by theme; the geographic reach of the Council’s resolutions; and the budgetary implications of its work. 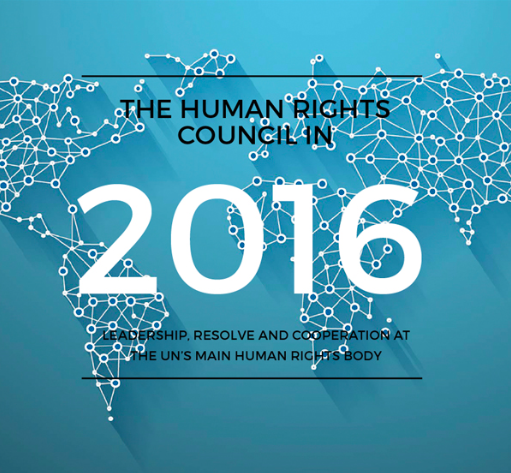 Infographics showing the global reach and influence of the Council’s mechanisms and OHCHR. An in-depth analysis of the contribution of all current HRC member States, against the criteria for membership set down in GA resolution 60/251. This includes an analysis of their cooperation with the Special Procedures, UPR, and Treaty Bodies, their voting records in 2016, and their leadership on key thematic and country-specific issues. 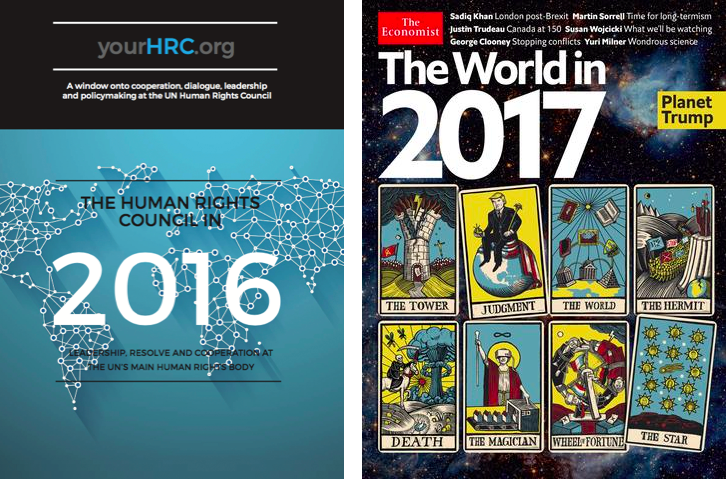 The report also includes a written critique of the main events, developments, successes and failures of the Human Rights Council in 2016.
yourHRC.org is a joint project of the Norwegian Ministry of Foreign Affairs and the URG.